There are basically three seasons in Thailand (though of late the cold season seems to have gone missing), the seasons are, The Hot, The Wet and The Cold. Cold being a rather subjective description though, the shots of emergency blankets being handed out in the northern provinces when it drops to a chilly 10 degrees...that's 10 degrees Celsius. So what does each season offer. March to June : The hottest month is April when even the geckos stay inside and most expats look outside at lunch time and decide to not eat rather than melt on the walk to a food stall. The Hot season is beach season, if that's your thing then this is the time to come to Thailand, guaranteed sun sun sun all day long day after day. For Trekkers you might find this to be a tad hot to go trudging up hills unless mounted on an elephant, sun stroke and dehydration are high up on the list of things to beware of. Bangkok turns into a molten vat of pollution as the winds die and the smog just hangs around choking up the oxygen. Hotels are at their most expensive during the hot season and weekends will see many of the mid range ones fully booked. July to November : The change over from hot to wet is the worst time to be in Thailand regardless of what you're into. It's Hot, it's wet and the humidity is ruthless. You'll be desperate to take three showers a day at a minimum...living in a shower for a month might not be a bad plan. If you can imagine living in a sauna for a month then you get the right picture of Thailand at the start of the wet season...unless you're in Bangkok, then get in a sauna and pipe your car exhaust into the sauna to get the right idea...hmmm yummy. Then thankfully the skies really open up, the wind blows and things freshen up . Rain is pretty much a guaranteed feature on a daily basis and usually kicks off in the afternoon, sometimes lasting all night, Floods are common along with power cuts. So why come to Thailand now...the cost.... hotels are empty, tourists are away, it's a great time to see Thailand with fewer tourists than usual and get the best prices as even the Thai people stay home at the weekends. December to February : Thailand freezes over, snow falls from the sky and ice-skating is the nations most popular sport...well if you watched the TV or the Thai people running around dressed in winter jackets, boots, gloves and scarves you may start to think it's true.. in Bangkok it can drop to a bone chilling 15 degrees Celsius at night, and up north it has on occasions dropped down to 2 degrees, the south gets off much lighter and you can escape with a body warmer and a bobble hat. Thailand again is swarming with tourists who have come to take advantage of the cool weather to do see Thailand without burning up. This is the best time of the year to actually "see" Thailand, you'll enjoy seeing the sights and touring the cities and trekking will be at its best. Again prices will be up and hotels fairly full. So in a nutshell the best time to come to Thailand is the time that suits what you want to do, Trekkers and Tanners will have different needs, those looking for bargains will have different needs. Just add that there are occasional down pours even in the hottest parts of the year and even the wet season can be dry for a week or more.....but leave your skis at home...there will be no snow.....guaranteed. Chris Sanderson is an Affiliate Marketing Manager based in Bangkok Thailand with AMWSO.com. Guide for travel to Thailand. 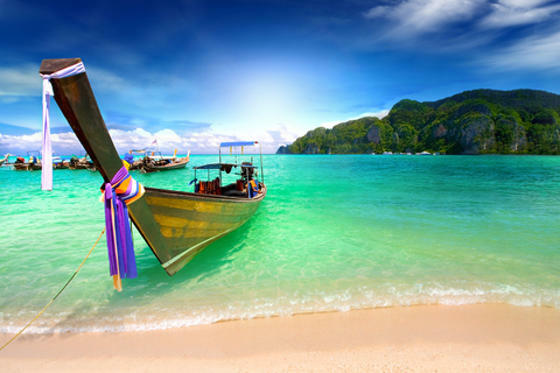 Information about attractions, climate, cuisine, and holidays in Thailand. List of documents that are required for entry into Thailand including visa information. Thailand Consulates in the U.S. List of locations where American citizens can obtain visa services and other travel information. Detailed list of requirements and forms for getting a student, business or tourist visa to Thailand. Itinerary for a 7-day tour of the country. List of things to see and do during a one-week vacation. 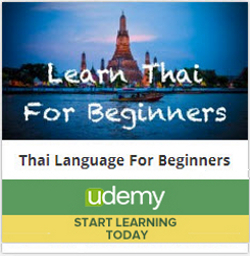 List of useful resources for those planning a trip to Thailanding. Includes health and safety information. List of online travel guides where tourists can obtain in-depth information about popular destinations in Thailand. "Must-see" attractions in the capital city of Bangkok. Images of Bangkok. Get a glimpse of this cosmopolitan metropolis and identify things you want to see when you travel there. Video tours of Bangkok. Watch these clips to see the sights and hear the noises of this world-class capital.